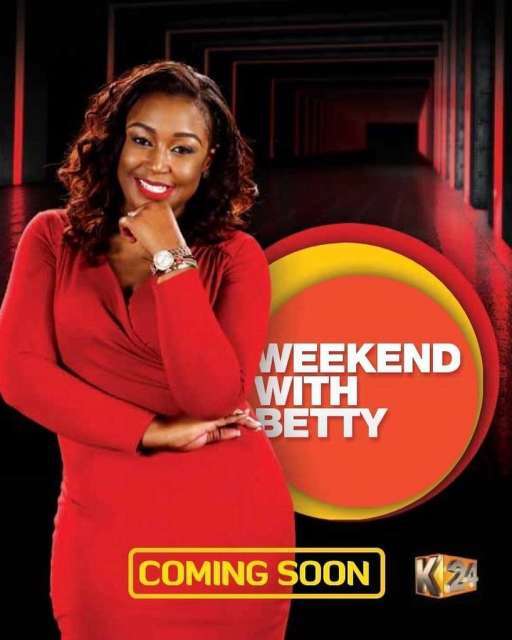 Betty Kyallo is set to officially launch on screen with her own show dubbed Weekend With Betty, making her official launch on-screen since joining K24. Ms Kyallo moved to K24 back in August and had announced that she will be launching on K24 screen on 23 November, 2018. She made the announcement on her Instagram thanking K24 for the warm welcome. Back in September she posed in photos with her new colleagues and some old ones. She is set to displace Anjlee Gadhvi on the K24 weekend edition, as her show will feature on Friday and Saturday at 9.30 pm. Gadhvi will shift to Sunday. Recently, the DSM-housed media house lost Richard Kagoe to BBC, a gap Betty is expected to fill. Another of their talent Michelle Morgan also left the station to pursue personal business. Betty left KTN after working there for 8 years, with an emotional send off that was soon followed by a scandalous expose over her break up with Mombasa Governor Ali Hassan Joho. Reports indicate that Betty received a better deal from the Mediamax owned station, prompting her to leave KTN. It is not yet clear what has delayed her debut. Other journalists who have moved to Mediamax include Jalang’o, Alex Mwakideu, Rose Gakuo, Mwanaisha Chidzuga and Eric Njoka among others.